I am late on posting this card. I have a subscription to Northridge Publishing to have access to all magazines past and future. 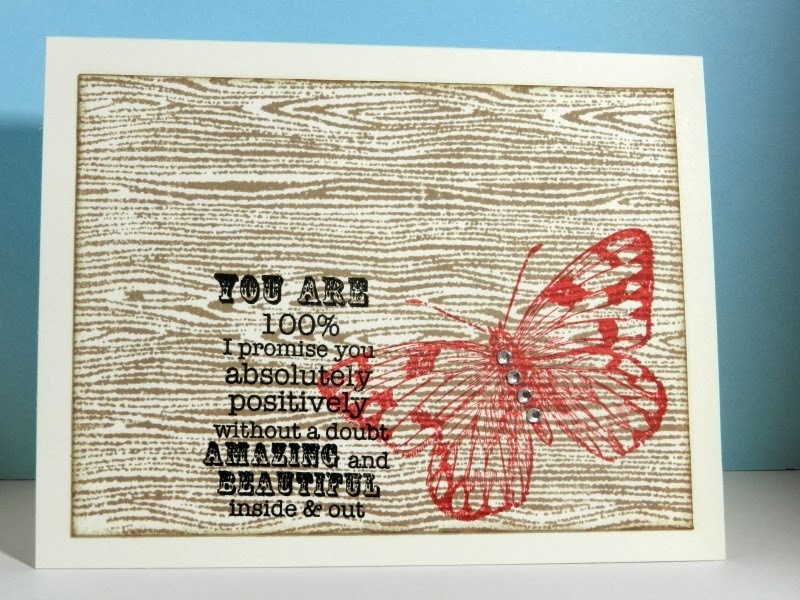 When I was looking through the Create Idea Book: Stamping for January 2014 and came across this gorgeous cards that was similar to the card I made. 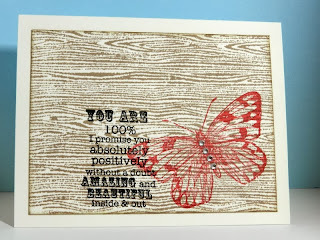 For my first card, I used the Distressed Wood background stamp from Pink by Design, which I inked in soft suede ink from Stampin' Up! For my image, I used a stamp set from StampTv which is inked in poppy parade. I thought the card needed some blink, so I added some rhinestones from Recollections to the body of the butterfly. 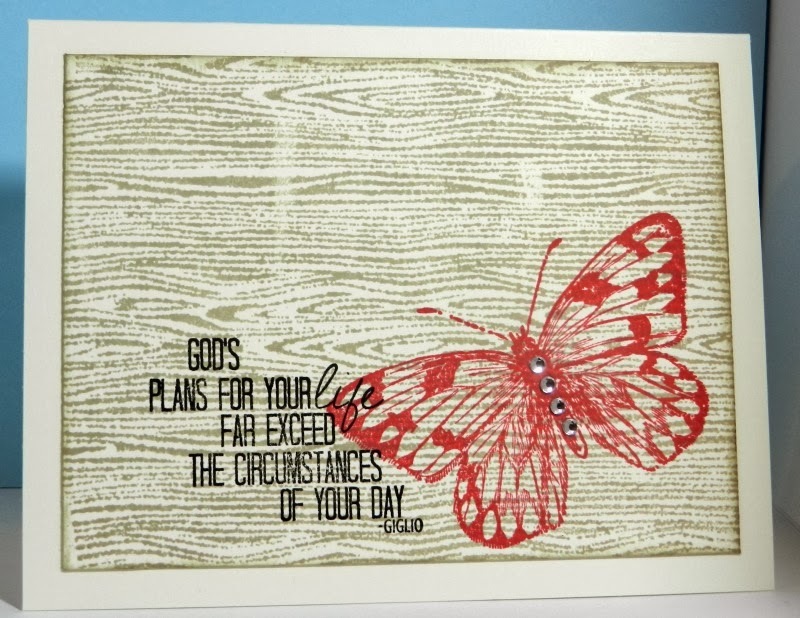 The sentiment is from Sweet n' Sassy stamps. I created this card the same way as the previous with some exceptions. 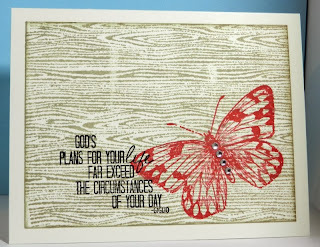 I used crumb cake ink on the Distressed Wood background stamp and the sentiment is from Pink by Design.